For travelers with an active tech lifestyle, it is very important to have a reliable internet connection. It will also be nice if they can find a device that has multiple functions. Apparently, saving space is one of the crucial things that travelers need to do. 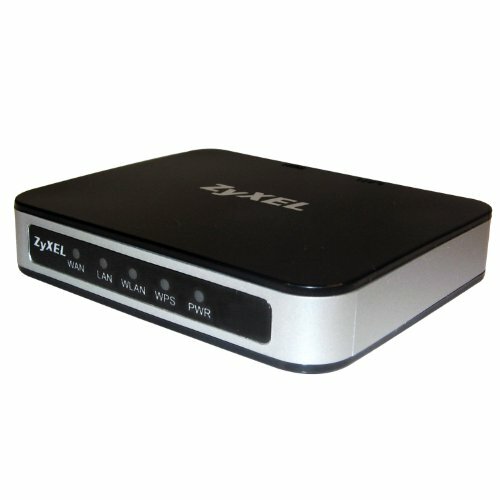 On this page, we will take a look at the ZyXEL Wireless N 3-in-1 Travel Router. The product claims to have the aforementioned traits: reliable connection and multiple functions. It may be a good buy for you if you are a traveler. It has three main functions. It works as a router, access point, and client bridge. Its power sources are USB and AC adapter. It uses the 802.11n wireless connectivity. It includes firewall features: NAT (Network Address Translation), VPN pass-through, and SPI (Stateful Packet Inspection). It enables wireless sharing of wired internet connection to multiple users and devices. It is small and light. It allows users to enjoy a wireless connection fast and easily. It is indeed perfect for travelers, due to its small size and light weight. Its ability to perform various functions provides a lot of convenience to internet users as it allows them to do numerous things. It provides a reliable connection, which indeed suits people who are always on the go. It is flexible enough to be powered by both USB and AC adapter. It provides a smooth browsing experience with its high data transfer rate, which is up to 150Mbps. It tends to disconnect a number of times. Users may find it a bit challenging to set up the Access Point feature. ZyXEL Wireless N 3-in-1 Travel Router aims to provide for the various needs of travelers who want to maintain active tech lifestyles. It comes small in size and is light weight, which makes it fit one’s pocket. It provides a reliable connection wherever you go, which is exactly what you should expect from a travel router. It is also easy to use; it saves the users’ time for it doesn’t take long to fully understand how to make it work. ZyXEL Wireless N 3-in-1 Travel Router can perform three different roles: a router, an access point, and a client bridge. Serving multiple purposes, this item provides great convenience to its users. It has some disadvantages though. First off, it may disconnect from time and again. Users may likewise find it a bit hard to set up the Access Point feature. Such disadvantages may be tolerable and are outweighed by the product’s advantages. With all the traits ofZyXEL Wireless N 3-in-1 Travel Router, we can say that it is worth buying. From the flexibility and convenience it offers, a lot of users can reap numerous benefits. It can give what the travelers need, which is a reliable internet connection wherever they go. The product has its share of downsides, but it’s just normal for any item. Besides, such downsides are manageable. The upsides weigh higher. As a responsible buyer, you should do further research about this product to determine if it can indeed provide your needs. Just make sure about what you really want, so you can make the right decision. Anything that you want to know, topics you want to explore, and subjects you want to learn – the internet has the answer to them. You can do it in the convenience of your home or in office. Just use a search engine, type the keyword, and you’ll find the web page that can give you the information you need. Just make sure to use legitimate websites. Since a huge number of people are using the internet, there is a need for online content in almost all topics. Therefore, there is a demand for freelance online writers. You write at your most convenient time and place, and get paid for your articles. Before, our only modes of communication were in-person, by telephone and via snail mail. Now, you can use electronic mail or e-mail to send messages. Others prefer to use instant messaging, texting, and do it a lot more for personal or business matters. With an internet connection, distance is no longer a problem in relaying messages. If you are into business, selling your products through the internet gives you access to more potential consumers. Online selling gives you the chance to promote your goods and services to your target audience 24/7. Through GPS technology, you can find your way anywhere in the world. The internet can provide you with a map to locate your exact destination. Also, it helps you search for a particular service in all possible areas.